NGC 346 spans approximately 200 light-years, a region of space about fifty times the distance between the Sun and its nearest stellar neighbours. Astronomers classify NGC 346 as an open cluster of stars, indicating that this stellar brood all originated from the same collapsed cloud of matter. The associated nebula containing this clutch of bright stars is known as an emission nebula, meaning that gas within it has been heated up by stars until the gas emits its own light, just like the neon gas used in electric store signs. Many stars in NGC 346 are relatively young in cosmic terms with their births dating back only a few million years or so (eso0834). Powerful winds thrown off by a massive star set off this recent round of star birth by compressing large amounts of matter, the first critical step towards igniting new stars. 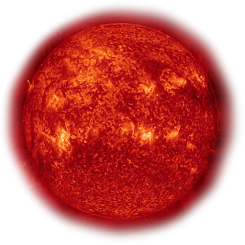 This cloud of material then collapses under its own gravity, until some regions become dense and hot enough to roar forth as a brilliantly shining, nuclear fusion-powered furnace — a star, illuminating the residual debris of gas and dust. In sufficiently congested regions like NGC 346, with high levels of recent star birth, the result is a glorious, glowing vista for our telescopes to capture. NGC 346 is in the Small Magellanic Cloud, a dwarf galaxy some 210 000 light-years away from Earth and in close proximity to our home, the much larger Milky Way Galaxy. 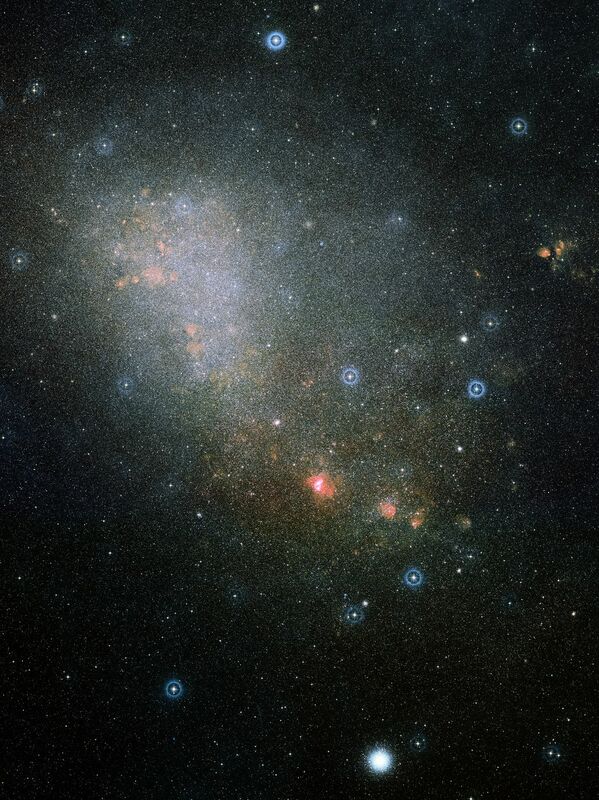 Like its sister the Large Magellanic Cloud, the Small Magellanic Cloud is visible with the unaided eye from the southern hemisphere and has served as an extragalactic laboratory for astronomers studying the dynamics of star formation. This particular image was obtained using the Wide Field Imager (WFI) instrument at the MPG/ESO 2.2-metre telescope at the La Silla Observatory in Chile. Images like this help astronomers chronicle star birth and evolution, while offering glimpses of how stellar development influences the appearance of the cosmic environment over time.